Here’s a look at the Grand Rapids Real Estate Market for April 2018. 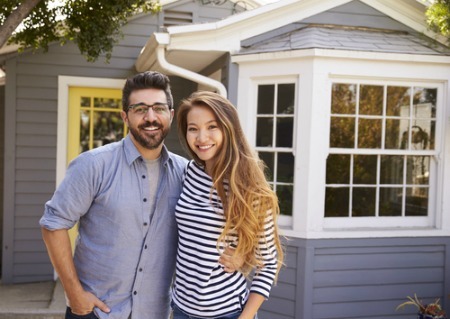 According to a report released by the Grand Rapids Association of REALTORS® (GRAR), this area remains a home seller’s dream. Recent trends show that sellers are receiving 98% of their listing price. What does this mean if you're buying a house in Grand Rapids? What does this mean if you're selling a house in Grand Rapids? March ended with a total of 845 properties sold. That is an impressive increase of 32.7 percent from the 637 properties sold in February. The average sale price of homes in the Grand Rapids area was $359,000 in March. That’s an increase of 5 percent from the $342,000 of last month. It’s worth noting that the median sold price is also showing an increase for March at the rate of 2.2 percent, with this month bringing $183,000 compared to $179,000 in February. At the end of the month, there were 1,184 homes listed with no offer. That shows an increase of 0.6 percent from last month. There were 1,208 pending sales at the end of March. This number shows a dramatic increase of 53.3 percent over the 788 in February. As you can see from the numbers, the seller’s market is alive and well in the Grand Rapids area. In fact, it’s full steam ahead as we move into April! What does this mean if you’re buying a house in Grand Rapids? The Grand Rapids area was showing a drop in inventory that is striking. We went from a 1.8-month property inventory in February to a 1.4-month inventory for March. When you consider that a balanced real estate market has a 6-month supply of homes, it’s easy to see that this marker is tipping the scales in the seller’s favor. This means that buyers need to be diligent and move without delay when they find a home that fits their wish lists. Talk with your real estate agent about setting up home searches that will alert you via e-mail as soon as a new home hits the market. You’ll want to be proactive in order to get the home you want. What does this mean if you’re selling a house in Grand Rapids? It’s a wonderful time to be a home seller in Grand Rapids! You’re likely to get most of your listing price at the end of the sale, and the average sale price is increasing. Homes are not staying on the market long, which is also good news in the seller’s camp. The average days on the market in March was 36 days. This is down 20 percent from the 45 days we saw in February. There’s a good chance you’ll receive more than one offer on your property. Talk with your real estate agent about the marketing plan for your home and the plan for negotiations when offers are received. Being prepared takes away the stress of sealing the deal. Here are the most recent home listings just added to the database in the average price range for Grand Rapids. All homes here are priced at $359,000 or less.